SEN Action offers a specialist advisory and advocacy service for parents with children with special educational needs (SEN) and for young people with SEN. We focus particularly on supporting our clients in their appeal to the Special Educational Needs & Disability Tribunal (SEN Tribunal / SENDIST). 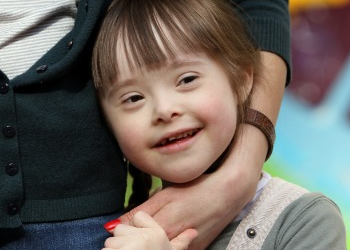 We are also able to support you in other matters relating to special educational needs (SEN), such as admission appeals, exclusions and disability discrimination. SEN Action is also in the process of developing its service to include support for your people with special educational needs in higher education (i.e. University). SEN Action offers a specialist advisory and advocacy service for parents with children with special educational needs and for young people with SEN who wish to appeal to the SEN Tribunal (SENDIST) against the decision of their Local Authority (LA). Has refused to amend the Education, Health and Care Plan (EHCP / EHC Plan) or the Statement of Special Educational Needs following an Annual Review despite your disagreement with what it says. Please note: Following each Annual Review you can appeal to the SEN Tribunal (SENDIST). Has decided to cease the Education, Health and Care Plan or Statement of SEN.
SEN Action’s complete package means that your case will be handled by our highly experienced Specialist Advocate from start to finish (See our Advocate’s profile here). Full case management of the appeal. Whatever needs to be done on your appeal, we can do it. There is no additional charge for our services if your Hearing doesn’t finish on the day. Any subsequent Hearing and preparation will be included as part of the capped fee. You will therefore, not incur any additional fee for our services if your appeal goes on longer than expected. SEN Action offers a Representation Only service. This means that if you require specialist representation at your appeal Hearing then we can offer that support to you. You would choose this option for a number of reasons. You may have for example decided to prepare the entire appeal by yourself but want support at the Hearing. Or maybe somebody else has prepared the appeal for you but will not be representing you at the Hearing. They may suggest you instruct a barrister for example. SEN Action offers a highly competitive fee for representation at SEN Tribunals (SENDIST). You therefore, do not need to instruct an expensive barrister as SEN Action can offer you the specialist representation you need at a fraction of the cost. If you decide to prepare the appeal yourself without the support of SEN Action or one of its competitors then SEN Action will provide as part of its service a free strategy note. This will include guidance on what we would suggest you do in order to prepare your appeal effectively. We will also work with you to identify and instruct relevant professionals if this is something you decide to do. If you have instructed somebody else to do your case preparation or if this has already been done for you then a strategy note would not be provided. The cost of our Representation Only service is £2,500 plus VAT. When the Special Educational Needs and Disability Tribunal (SEN Tribunal/ SENDIST) makes a decision following a Hearing, either Party (Parent/ young person or Local Authority (LA)) has the right to appeal that decision to what is called the Upper Tribunal. We have provided a number of FAQs on the Upper Tribunal, however generally speaking an Upper Tribunal appeal involves a discussion on whether the SEN Tribunal has applied and followed the law correctly. It can involve a highly technical analysis of case law and legislation. Similar to the SEN Tribunal, parents/ young people can represent themselves at the Upper Tribunal. SEN Action can however offer this service for you at a highly competitive cost. SEN Action’s Specialist Advocate has extensive experience in handling Upper Tribunal cases and he will support you throughout the process from start to finish (See our Advocate’s profile here). What needs to be done on your Upper Tribunal appeal will depend on whether you are the one appealing or whether that is the local authority (LA). It also depends on the decision of the SEN Tribunal and what the areas of challenge are. In terms of cost please see our cost page for more details. Mediation and Dispute Resolution has been given an extra emphasis following the introduction of The Children and Families Act 2014. For example, in order to lodge an appeal with the Special Educational Needs & Disability Tribunal (SEN Tribunal/ SENDIST) you will have to speak to a qualified mediator first. The mediator has to be one identified by the LA and you will need a certificate from the mediator confirming that you have had a discussion. You don’t have to go to mediation but if you decide to the LA must cooperate in the process. For non-tribunal related issues (i.e. a disagreement with your or your child’s educational setting) then Dispute Resolution can be used to try and resolve the issue. Mediation may be a useful and cost effective way of resolving your issues with the LA or School. SEN Action is able to offer you specialist support for any mediation or dispute resolution if this is a process you decide to engage in. Our Specialist Advocate is also a qualified mediator and has extensive experience in the area of SEN. The cost for this service is a capped fee of £2000 plus VAT. Please see our detailed FAQs for more information on this process. This is a developing area of expertise for SEN Action and such our knowledge and expertise is growing. Our Specialist Advocate for example, recently supported a student to successfully challenge her final degree classification. The student had a disability that the University failed to take into account. Currently, SEN Action is offering its services free of charge to young people in higher education. The only costs that need to be covered will be the disbursements, which will be kept to a minimum.